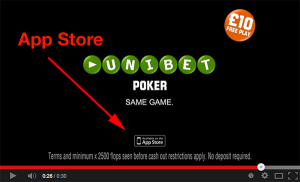 Last week I wrote a blog post about Unibet’s new poker software, and it was interesting to read that Unibet is pushing really hard for their poker product in the UK. 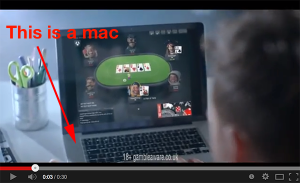 If I were responsible for the poker product at Unibet I would have done it a little bit differently. Launch a poker product that works on more than one plattform. I would wait to make a major advertising campaign until the product works on a few different plattforms. I would not use devices/references in the advert which players can not play on.